When putting together an outfit, the one problem that almost every man will have will be picking out the right bag. While the ladies have an array of purses, clutches, totes and god knows what else to choose from, men usually face the challenge of finding a practical yet aesthetic bag that doesn’t look like one they borrowed from their girlfriends/sisters. Well, step aside ladies, because this article is where men rock the runway. If you think a man’s bag is a ‘murse’, it’s time to join in the crowd. From bag packs to tote bags, here’s a list of six labels to kickstart your man bag predilection and to complete your outfits with. Brownbreath is a South Korean streetwear label that specialises in retailing backpacks and tote bags. Their extensive collection also includes laptop cases and cross-shoulder bags. With ‘Spread the Message’ as its slogan, Brownbreath aims to highlight the arts and youth movement, to inspire the conception of new Korean street apparel. Gnome & Bow is a Singaporean label started by local Quanda Ong. Since its infancy, the brand has been getting stirring reviews for its quality materials, workmanship, and storytelling. Wait, what? As a novel entry into the local fashion scene, each bag is imbued with a whimsical storytelling element such as The Hare & The Tortoise and Dr. Jekyll & Mr. Hyde. Harmonising functionality, class and fun, Gnome & Bow bags are designed for the discerning individual. Renowned for its quality and innovation, Herschel‘s bags are perhaps the most prominent among Singaporeans. Their collection is diverse with various styles to complement your outfits. The design behind Herschel is rooted in vintage mountaineering and travel, as evident from their great emphasis on functionality. Herschel bags are fitted with big compartments, ideal for wanderlusts and leisure travel shoppers. Rugged and sturdy, they are also the perfect companions for Secondary School and Tertiary School students bearing laptops or textbooks whilst commuting to and fro. The Porter label is split into two different categories – Head Porter and Porter International. Head Porter/Porter Tokyo is from Japan and carries exclusive tote bags, backpacks and shoulder bags that are nearly impossible to find in brick-and-mortar stores. Their bags are catered towards affluent young to middle-aged adults and are on the pricier side. The Porter International bags on the other hand, are widely available. Porter bags are generally considered affordable luxuries with a strong fan base comprising of working adults. Melding aesthetics with practicalities, their collection features folios and shoulder bags optimal for the professional office look. STATE is probably so indie most would have never heard of it. 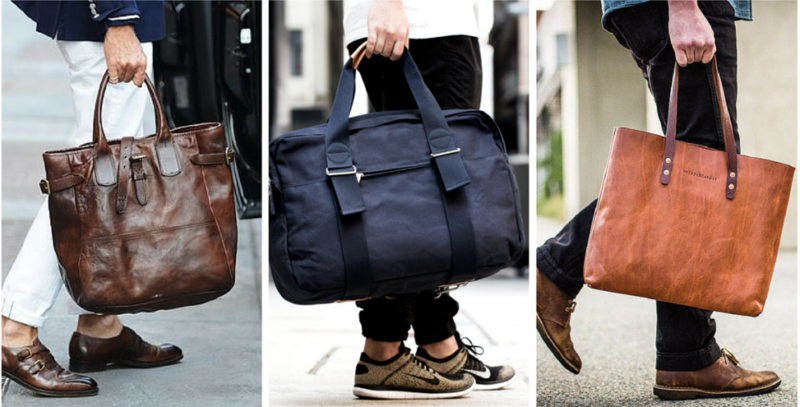 This American bag-makers pride themselves as crafters of style and durability. The best feature of this bag is undoubtedly the company behind it. STATE is a philanthropic company that employs the “Buy One, Give One” model, whereby for every bag sold, one containing school supplies is given to a needy American child for free. From the eye-catching colours of The Kane to the unique fireman clip closure of The Smith, the little-known brand of STATE is generating massive amounts of hype. So, before it goes mainstream, win yourself a couple of hipster style points by getting a hold of one of these babies now! Premium Danish label RAINS was established in the rainy (duh) streets of Copenhagen. With a name as simple as its concept, RAINS does exactly what you expect it to do – it protects your beloved from getting soaked by rain. Their collection includes designer tote bags, messenger bags, and duffel bags; all of which is a reflection of modern city life. As we all know, Singapore is host to unpredictable weather and you wouldn’t want to be caught off-guard when it starts pouring. Practical for use be it to protect precious documents or electronics on a hike, you won’t have to worry anymore. Yes, gone are the days of Crumplers or Kankens. These bags may not necessarily come cheap, but they are definitely investments worth making. Not only will they complete your look and keep your style on point, you’ll get your money’s worth with the bags’ durability.